The long-awaited follow-up album to 2012's Designing the Dystopia features seven blistering metal tracks, guaranteed to rip your face off, slap it between two slices of bread, and hand it to you for lunch. With "Big 4"-style riffs and grooves, layered with modern metal production and attack, the end result is a unique sound that relentlessly hooks you, song after song. 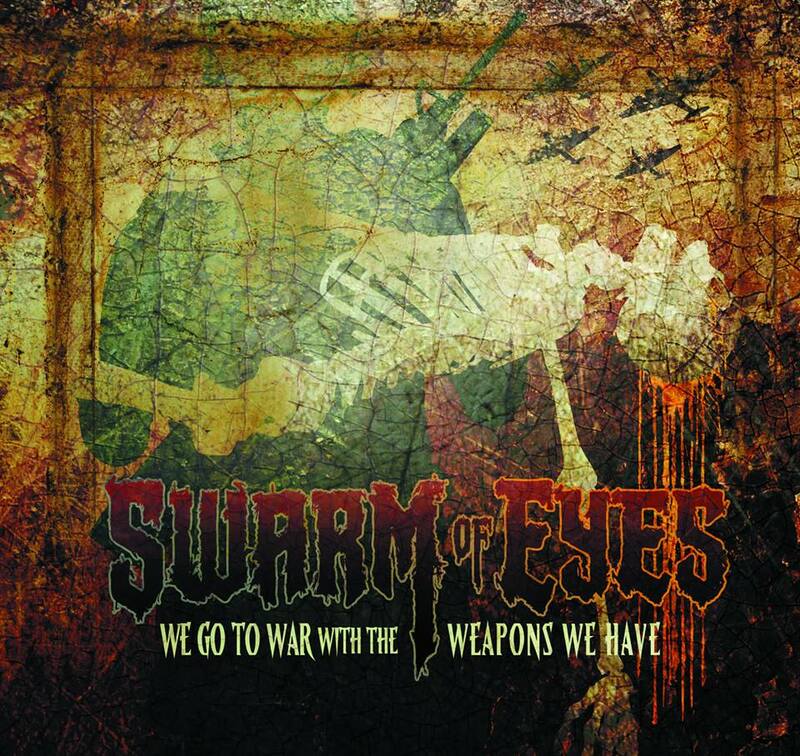 We Go to War with the Weapons We Have contains four brand new songs written by Swarm of Eyes, two covers, and one epic reworking of a Swarm of Eyes classic ... and a partridge in a pear tree. With cover art designed by Mike D'Antonio of Killswitch Engage, via his art production house DarkicoN Design, We Go to War with the Weapons We Have brings the brutality in terms of haunting visuals and memorable metal tracks. Pre-order your copy today! Orders ship 01/06/2017.